Posts written in an engaging and succinct style about interesting and informative matters will have people coming back for more and grow your readership. As a less formal space than academic publications there is a much wider potential audience so let your writing reflect this lack of formality. Make it human. Blogging is a commitment that should not be entered into on a whim. Keep your blog active and well written. Make use of contributors if you can, there is no need for a blog to be a solo mission. Regular posting is vital for a blog to maintain the interest of its readership. Coming across a blog that hasn’t had any new content for months gives a negative impression of the blogger and the organisation. Once a month is fine as long as you establish a pace and keep the fresh content ticking over. Create a content plan to map out your posts for the next six months and keep adding to it. You can flex it as you go but it is important for you to know what you plan to write about over the next few posts so you never hit a content wall. There is no doubt that a good image will increase the visual interest and readability of a blog post, but it must be licensed. Picking a nice photo from Google image search and inserting it into a blog post because it’s kind of relevant and/or it looks pretty is not strictly legal and you really shouldn’t do it. If you are using your own photos you must have permission from anybody who is easily recognisable in the image. There are some very serious reasons why an individual might not want to appear on a website or a blog post so please bear this in mind. 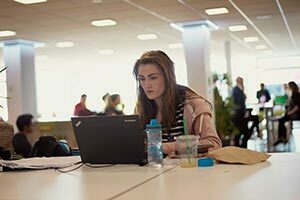 The posts on this platform are expressing the opinion of the author and do not necessarily represent the opinion or the policy of the University, but you are still representing UWE Bristol. Blogging provides a space to air your views but there is no licence to write scandalous defamatory material about your colleagues or anybody else, or any organisation for that matter. A bit of controversy can be a good thing but tread carefully. If you want to know more about blogging at UWE Bristol please email us at webeditors@uwe.ac.uk.